After breakfast and feeling suitably refreshed I made my way back to my ship. It was only a 10 minute walk, but it was still time enough for an old ‘friend’ to contact me. Hey buddy, heard you were in the area and were looking to make a quick few. You know, if you’re looking for a big score, word has it that a few corps in Ross 142 have been trying to build a monopoly by using a localised transmission system to foster insider trading between different small businesses. Now if someone was to intercept those messages, maybe bring a few examples back to spread about to a few interested parties, all while staying away from the watchful eye of the law… well in a case like that I imagine a pilot could find themselves very well rewarded indeed. Whaddya Say? Let me know. Jones wasn’t really much of a friend, but I owed him one. He used to bring me some real good booze to sell. It was clear he wanted this information for himself, that was fine I didn’t really care who got it as long as I got paid. I let him know that I’d get right on it. 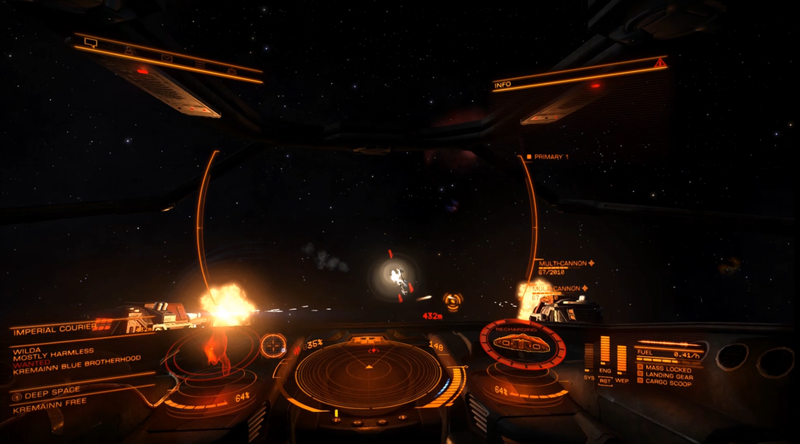 I made it to Ross 142 jumped out of supercruise and picked up some contacts on my radar – one of which caught my eye. It was a wrecked ship. My guess was that someone already stole the information but met with trouble on the way home, but it seems the cleanup operation wasn’t thorough enough, there were a few canisters still floating around. I scooped them up and headed back. I handed the information over to Jones and he gave me a suitable amount of credits in return. “Be seeing ya.” He said to me, as if he knew he would see me again soon. I picked up another contract, delivering supplies to Wohler Terminal in Kremainn. I refuelled and headed out. Kremainn was a couple of jumps away but my Frame shift drive was just about good enough to get me there. 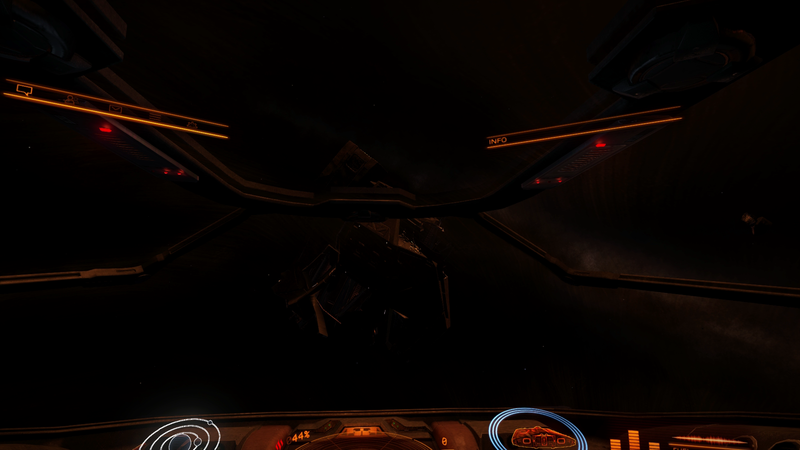 I came out of hyperspace, locked Wohler Terminal and throttled up on my supercruise. Interdiction Detected “Crap, I’m in trouble.” I struggle to try and avoid the interdiction, but I get disorientated and can’t make it out. I’m forced out of supercruise and over the comms channel get the message “Give me your cargo” Wilda says. They’re wanted and there’s no way I’m surrendering to them, I deploy my hard points and line Wilda up in my sights. I open fire, and Wilda returns. We both dodge and weave to try and get the upper hand whilst exchanging shots. A couple of times my shield goes down, but I don’t take any serious damage. My multicannons seem to be out gunning their lasers. The fight only lasts a couple of minutes with the Federal Security turning up just as I finish off Wilda. Now I have an 11,000CR bounty to claim. “Thank you Wilda” I say to myself. 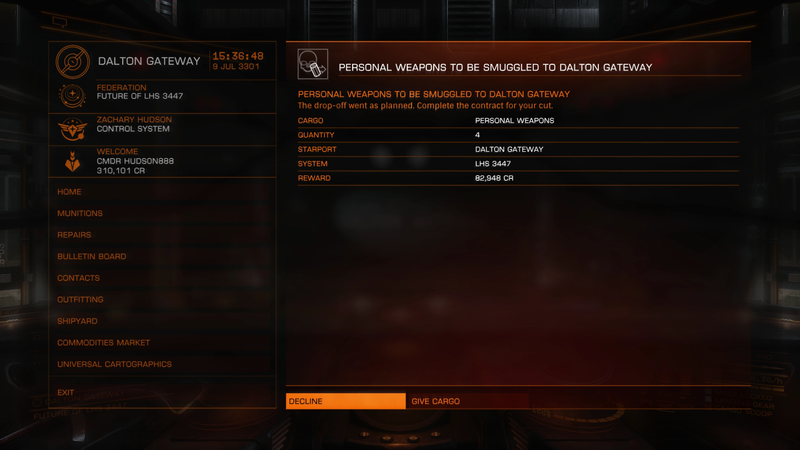 I make the rest of my journey to Wohler Terminal in peace and hand over the supplies whilst also claiming the bounty I just earned. I now have around 240,000CR, things aren’t looking too bad. My ship needs some repairs, so I take a little break I head to a local bar for some food and a few drinks. The bars around the docks are always bustling and if you want some work that’s a little more ‘risky’ these are usually the places where you’ll find it. I take a seat at the bar and order a beer and some food whilst keeping an ear out for any interesting information. It’s not long before I overhear an argument between two people needing to get some weapons and other supplies to Levi-Montalcini City in Yakabugai, they can’t agree on who should do the delivery. I offer a casual “I’ll do it.” to them. “huh?” one of the guys looks up at me, “I said I’ll do it – for a price of course.”. After a little chat with my new bar friends we agree a fee of around 70,000CR for both lots of cargo and I head back to the dock with them to load the goods on to my ship. As I set off to deliver the goods, all I keep thinking is this is too easy, taking these goods from one station to the next is a walk in the park, why don’t they just do it themselves? They’d save a lot of money. After a couple of jumps I get to Levi-Montalcini City, it’s a small outpost, not exactly a city. I hand over the goods no problem at all. There wasn’t much on offer here, but there was a simple shipping contract to Eravate, which is a much busier system so I thought I’d head there for a bigger score. I was soon docked at Main Hub finishing off the contract, and then on my way to Cleve Hub still in Eravate which was a large port and would be sure to provide me with something good. When I arrived at Cleve Hub I checked the bulletin board for anything interesting and found another shipping contract that would offer 80,000CR as payment. This would give me enough credits to buy a new ship, more specifically a Cobra Mk. III. I snapped up the deal and got back on my way, back to Dalton Gateway as that’s where the delivery was needed. 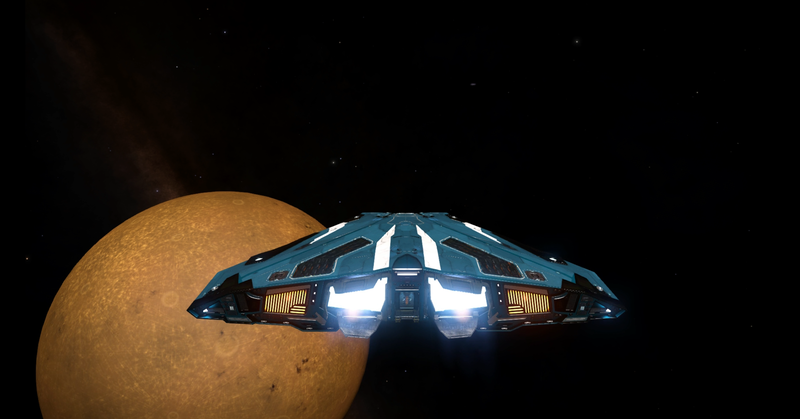 As I approached the station I put my sidewinder in to silent running as to avoid any Federal ships lurking around. I glided in to the station and made my landing. I sent the message that the goods were ready for pick up. I sat patiently waiting and after around 15 minutes I heard “Hey buddy, thought I might be seeing you again soon.” Jones. Of course it was. Looks like he might be running a bigger game than I’d previously anticipated. To be honest I was a little relieved that it was a familiar face, it always makes things a little easier. We made the exchange and parted ways. Now I had enough for the Cobra. 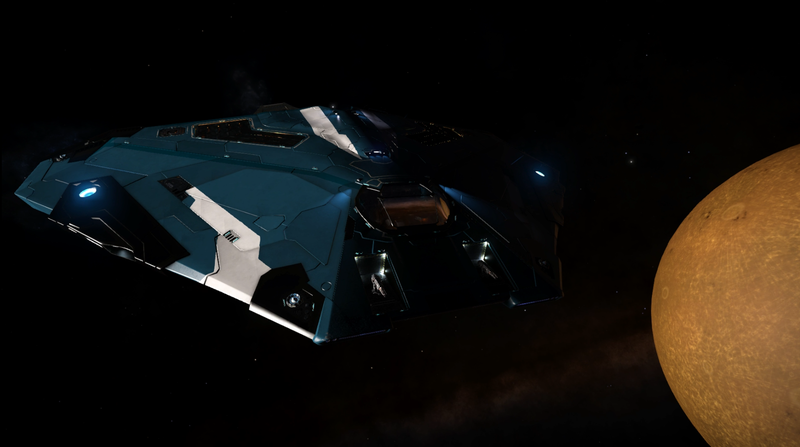 I brought up the shipyard inventory – no Cobra on sale. I curse quite loudly at that point. But I figured one wouldn’t be far away so I quickly jumped back to Cleve Hub and there it was. Now I can finally start to make my way back home.